We are trying something different this year. 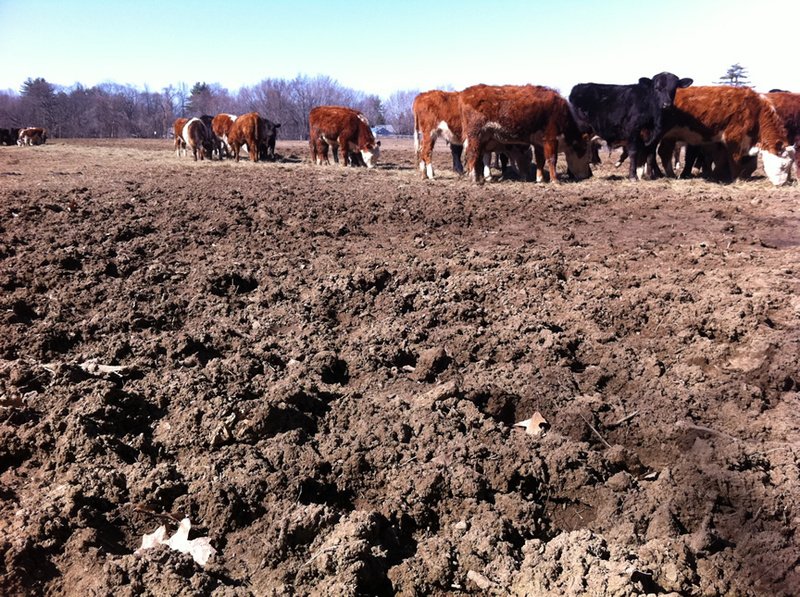 Last year, we got through mud season by staging bales of hay all over the upper fields and moving the cows quickly to minimize the damage done by their hooves in the mud. We didn’t like the result. There was a lot of pugged soil and young grasses grazed too early. And since we took the Cornell Soil Health Workshop, we are specially concerned about too much compaction of the soil. So this year, we have set one paddock aside and designated it the “sacrifice” pasture. The cows will stay there for a month or so, eating the rest of their winter hay, until the rest of the pastures grow to grazing height. We will reseed with a cover crop as soon as the cows leave, and who knows, maybe rotate in a vegetable garden in the same spot next year.